I've wanted a GPS/SatNav since first seeing them in luxury cars. A few years ago I bought a GPS add-on for my Palm. But it was cumbersome to use on the road, there were no spoken directions, the map had a fixed orientation, and it only could store a partial map. This combination quickly resulted in it not being used after the first few trips. A few months ago I drove with a friend who had a Magellan Roadmate 760. This seemed to have everything. Complete US maps (so no having to plug it into your computer to download new maps for each trip), spoken directions, intuitive user interface, and a map that automatically oriented itself to your driving direction. I've since bought one, and spent about the last month driving with it, and I love it. The suction device and armature that attaches it to the windscreen is excellent. It holds the device exactly in the position you want it, and very convenient. It can easily be twisted from the driver to the passenger. The setup really was as simple as the one page startup guide said. Attach it to the windscreen, plug it in, and turn it on. In my case the street I live on has a lot of trees, and I did have to drive around the corner for it to first sync up with the satellites. But having done that it worked. Picking a destination is simple. It's a touch screen. Simple menus. Just point and click. Know the address? Just enter the city, then the street, then the number. Know the intersection? Enter the city, first street and second street? If you're not sure of the city, you can also just enter the state. Once you've entered the city or state, the street entry is filtered down just to the possible streets. Similarly for intersections. Looking for a shop, or a restaurant, or a park? You can search by name, category, nearest, by city. Basically all the searches you might want to do, are just a few clicks away. There's a few categories that appear to be missing from the menus, which has been a minor inconvenience, but not a big deal. For example, if you search for Walgreens it will find you the nearest one. It shows up as a Pharmacy. But if you just want any Pharmacy, there's no such category (nor is there Drug Store). But really this is a minor thing. As to the navigation. The maps are very clear, and customizable as far as colors and brightness (I've found the defaults to be excellent). Your route is highlighted with arrows, and the map rotates to be oriented the same way as your car (although this can be turned off, if for some reason you find this irritating). As you approach a junction, there are spoken directions, as well as ding-dong noises as you get right up to the junction. By default the map switches to a 3-d type perspective of the turning you are about to make, alongside a narrower version of the street map. I'm torn as to whether I find this useful. At the moment I have this behavior turned off. This is a really nice thing about the device. It has sensible defaults, but they are easily configurable. You can have the spoken directions include the street names, or just tell you things like left or right. The street names are a computer generated voice, and pronunciation is a little off at times. Be default the device doesn't say street names, and I'm torn on whether I like it or not. The street names are also clearly displayed on the map, together with the street that you are currently on. There's lots of other great features. Click Locate twice and the screen changes to a display about the street you are on, and the street numbers you are currently passing on your left and right. It also shows the previous street intersection name, and the next one, together with how far past the previous one, and how far still to the next one. Ultimately, the features don't matter if the maps are innacurate. But in this regard I've been very satisfied. There have certainly been occasions where the maps were wrong, but most of the parts of North Carolina that I have travelled so far, they are complete and accurate enough to get you where you are going. For example, over the last few years, US-421 from Winston-Salem up to Boone has seen several bypasses built, resulting in this being a 4-lane road the whole route. On driving this last weekend there were several occasions when the Magellan Roadmate 760 clearly thought I was driving across a field. I also visited a subdivision of a friend of mine the other evening, to discover that the entire subdivision was missing from the map. In the latter case, it's also missing from online mapping services like Google Maps. Roads change all the time, and there's not much that a GPS can do about this. 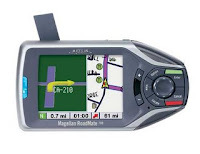 Magellan offers downloaded updated maps. You are charged for these. I haven't downloaded one yet to see whether it addresses the US-421 issues. But I plan to do so soon. If roads change, businesses open and close with even greater frequency. I've found several innaccuracies in the businesses listed. But really I don't find that to be that important. I use the features for finding restaurants or shops when I'm out of town, and for the most part it finds me ones, even if it occasionally first takes me to a place that isn't there. Overall, the device is great. My only concern is with reliability. I've had no problems yet, and I leave the device in my car which gets well over 100F during the day. But my friend has had to send his back twice so far, and I've read reviews from others reporting similar experiences. So fingers crossed.